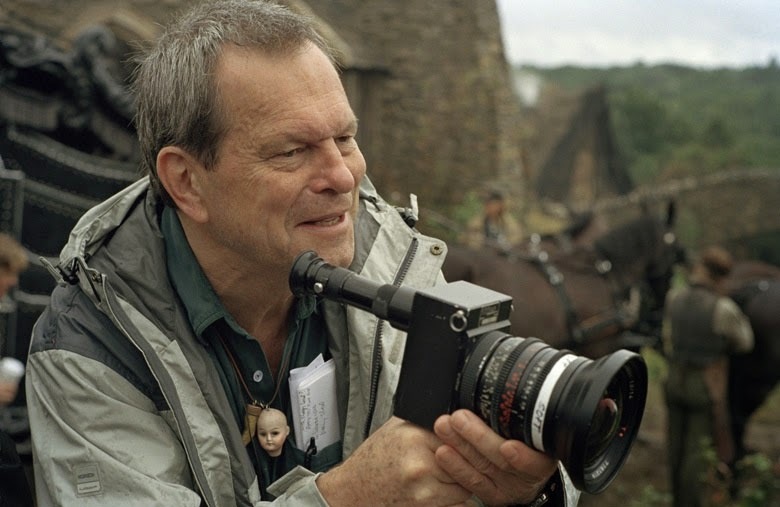 Terry Gilliam has made some great films over the years. 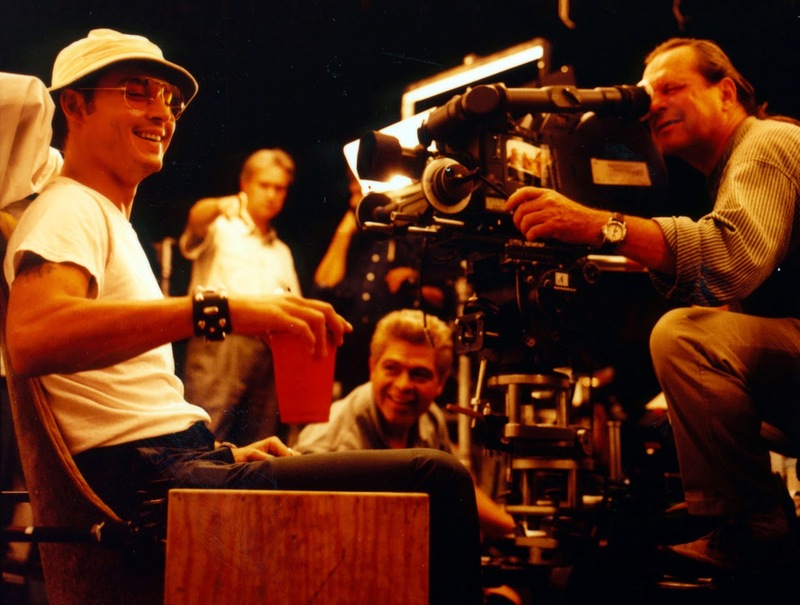 12 MONKEYS, FEAR AND LOATHING IN LAS VEGAS and BRAZIL are probably the ones that spring to mind first, but a quick look through his IMDB page and you'll be impressed with his body of work. He sat down with Filmmaker Magazine a few years ago and gave these 10 lessons for directors. I've kept it bookmarked ever since, and whenever I need a little creative inspiration, I pull it back out. 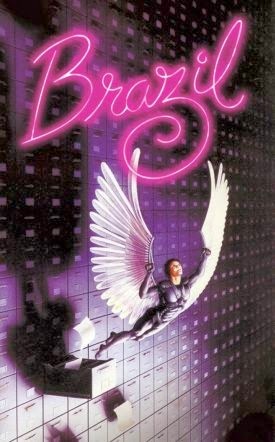 Since it's still movie week, I'm throwing it up here for you, too. 1. Growing up is for losers. 2. Film school is for fools. Live and learn how to make films. I didn’t go to film school. I just watched movies in the cinemas. And probably my greater education was actually making films, so that’s all I would ever say: watch movies, get a camera, make a movie. And if you do it enough times, eventually you start learning how films are made. 3. Auteurism is out. Fil-teurism is in. Being an auteur is what we all dreamed of being, as far [back] as the films of the late ‘50s and ‘60s, when the idea of the auteur filmmaker arrived on the planet. And people kept using that term, and they do with my movies because I suppose they are very individual and they give me all the credit, so they say I’m an auteur. And I say no, the reality is I’m a ‘fil-teur.’ I know what I’m trying to make but I have a lot of people who are around me who are my friends and don’t take orders and don’t listen to me, but who have individual ideas. And when they come up with a good idea, if it’s one that fits what I’m trying to do, I use it. So the end film is a collaboration of a lot of people, and I’m the filter who decides what goes in and what stays out. 4. Put your ideas in a drawer. Take them out as needed. I do have a drawer in my desk with all the ideas that I have and that I scribbled out. I put them in there and some day I use them. At the beginning of a new film, I often go in that drawer and look at everything I’ve done and see if there are some ideas that might apply to what I’m doing. But things grow, so I just start with a sketch and then refine it. And you do it with other people’s ideas coming in. That’s the fun part. 5. All you’ve really got in life is story. I think the important thing is stay true to what you believe. I mean it’s much more important to make your mistakes than somebody else’s mistakes. Like too many other filmmakers have compromised because somebody advised them [that] if you change this, the film will be more successful commercially. And then the film isn’t successful commercially, and these people get so depressed and destroyed because they didn’t ever finish making their film the way they intended it. You’ve got to believe in what you’re doing. And you’ve got to be willing to take the consequences of whatever it is. If you succeed, fantastic. If you fail, you might have to get a proper job. 6. Command the audience with your lens. I keep wanting to see more of the world always. When I’m looking through the camera, when we’re setting up a scene, I don’t feel like I’m in the scene. And the wide angle lens, because we see so much, it seems to wrap around me a little bit. I also like the fact that with long lenses, the director controls the audience much more because you show the audience only exactly what you want. Everything else can be out of focus. And I like it to be a little bit more vague so the audience has to be aware of the environment as well as what I want them to look at. I don’t want to really separate the character from the world that it’s in. So the world is as important, and the rooms and everything, as the character sometimes. 7. Nothing can defeat a director who is one with his actors. I think the key is to make sure that the cast, especially if they’re big Hollywood superstars, likes the movie. My first film in Hollywood was The Fischer King, and Robin Williams and Jeff Bridges are playing the two leads. And I knew as long as Robin, Jeff and I were united, there was no way the studio could break it, and the film would go out. Same way with Twelve Monkeys. Brad Pitt, Bruce Willis and I were one. In both instances those films went very smoothly. 8. Surround yourself with improvisers. I like the actor to surprise me all the time because the problem when you’re making a film, if you've written it and you’re directing it, you've been with it so long, it becomes a bit rigid. It can become mechanical when you’re shooting because you’re just trying to do exactly what you were thinking about for the last year. And what’s wonderful is when the actors come in and they do something that’s completely surprising, and suddenly every day becomes fresh. And it makes me stay awake. 9. Directing is not for the faint-of-heart. Or the sane. What I love about Don Quixote is that he keeps misinterpreting the world. He thinks the world is either worse or better or whatever. He gets it wrong every time. But in the end he has these heroic, epic moments, and he seems to be unstoppable. He just goes on and on and on. I think it’s a great example for people, especially in film, in how to get through life, because film can often be incredibly disappointing. What I like about the Don Quixote documentary is that so many other filmmakers when they saw that, they started telling me their stories of equally horrible disasters. It’s a very difficult business. [Lost in La Mancha] should discourage anyone who is not willing to live in a world where disasters like that occur. Don’t make films if you’re not going to be able to deal with things like that. I’m always working on it and one day it will happen. It’s changed me. If you’re going to make a film about Don Quixote, you’ve got to be as mad as Don Quixote, so the nature is helping me go crazy. 10. Be an enlightened despot. I expect the actors to really be totally committed to the film and to their character and forget about who they are. Get rid of your vanity. Just be whatever the character demands. I think it’s horrible when I hear stories of actors coming and they bring their own makeup people and their hairdresser. Wait a minute, what’s going on here? The power is in the wrong hands. And if you let the power go to the actor, then you’re not directing the movie. And the actor is not thinking about the entire movie. Only the director is thinking about the entire movie. I don’t ever want to be the guy that is saying, “this is the only way that it can be done.” I don’t want to be a dictator. That’s not interesting. It’s interesting if you can have a dialogue going all the time and trying to all agree to find what is the best way for this film to go. Bonus Lesson: And whatever you do, don’t ever work with the Weinsteins. I suppose it would have been nice to have made more films in the 71 years that I've been hanging around this place. And if I have a regret, there’s only one really, and that was working with the Weinsteins [giggles]. That’s the only one.